Chestnut Hill Realty (CHR) and CHR- affiliated Facebook pages are intended to provide a place for its residents, employees and friends to interact and communicate. All comments, visuals, videos and other types of material posted by fans on this site do not necessarily reflect the opinions or ideals of Chestnut Hill Realty, its employees, or affiliates. CHR does not represent or warrant the accuracy of any statement or product claims made here. CHR is not responsible for any user content on this site and does not endorse any opinions expressed on its fan pages. -Defame, abuse, harass, stalk, threaten or otherwise violate the legal rights (such as rights of privacy and publicity) of others. -Mention names of CHR employees and residents without permission. -Publish, post, distribute or disseminate any defamatory, infringing, obscene, indecent, misleading or unlawful material or information. -Delete any author attributions, legal notices of proprietary designations. -Upload or attach files that contain viruses, corrupted files, or any other similar software or programs that may damage the operation of another's computer. Any posts that violate any of the categories above will be removed and, in some cases, users in violation of these guidelines may be blocked from CHR and CHR-affiliated Facebook pages. CHR's Official Facebook Page - For Brighton, Brookline, and Cambridge residents. Plus corporate news and events. 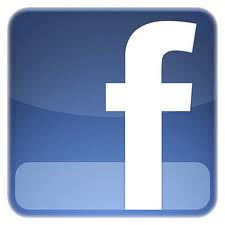 Like CHR's Facebook page and get $50 off your first month's rent on any new initial lease. Print this page for your leasing agent. Chestnut Hill, MA – Apr. 22, 2009 – Last April, Chestnut Hill Realty (CHR) announced the launch of a comprehensive green initiative targeting its existing properties. The ‘Live Green’ program is a multi-faceted effort targeting all CHR communities, its residents, and its employees. Outlined below are the accomplishments since the inception of the initiative in the following areas: education and awareness, energy conservation, water consumption, electricity and lighting, recycling, landscaping, pesticides and maintenance. To date, CHR has successfully reduced their carbon imprint on fuel by 688 tons. That is enough to send one car from Augusta, Maine to Los Angeles, California 248 times! Education and Awareness: CHR realizes that education and awareness of environmental issues is the key to affecting change. Last April, CHR gave away nearly 5000 reusable grocery bags to residents and employees with information on how to reduce, recycle, and reuse within their own homes. Throughout the year, CHR hosted contests and events at various communities to encourage additional awareness for recycling, energy conservation and water consumption with great results. Water Consumption: CHR achieved a water conservation of 40% at our communities by installing water-saving toilets, faucets and showerheads. Electricity and Lighting: CHR replaced inefficient incandescent lighting fixtures with low wattage fluorescents and CFL’s in common areas and outdoor lighting. Also, new residents are provided with a green move-in gift with two CFL light bulbs for use in their home. Recycling: CHR placed recycle bins at every desk company-wide and set up each computer with duplexing and scanning abilities. This helped dramatically reduce the number of copies made by company employees by almost 100,000 pieces of paper. Additionally, copy paper was switched to 30% post consumer material and 100% of toner cartridges are now sent back to the manufacturer for recycling. Overall, recycling increased by 53%. Landscaping, Pesticides and Maintenance: The CHR Horticulture Department began replacing old leaf blowers and trimmers with fuel efficient and noise reducing equipment. Smart irrigation was installed in most communities resulting in a reduction of water usage by almost 70%. The CHR Maintenance Departments successfully instituted a light bulb and appliance replacement program that consists of replacing inefficient lighting and appliances and using proper means to recycle the old material.